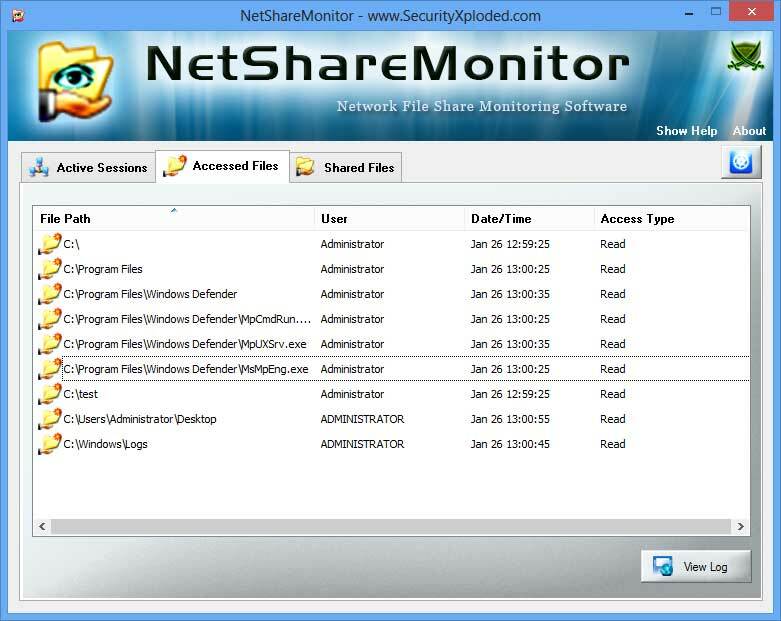 Whenever any remote user accesses your Shared Files, NetShareMonitor alerts you by blinking the icon in the systray or making the alert sound. For each connection, it shows the IP address, user name & shared files being accessed by the remote host. In addition to this, your can also monitor your system from hackers (Null Session Detection) and worms (\pipe\browse) which spreads through network shares. Shared Files Tab - shows all the shared files on your system. New HTML based Live Session Logging helps you to keep track of all the remote systems connected to your file shares. 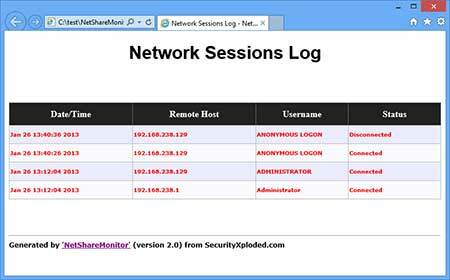 Each connection log records the time of the event, IP address of remote host, user name and type of event. 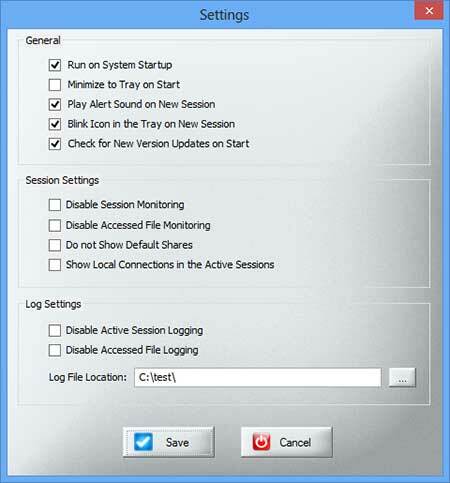 Also 'Accessed File Logging' helps you to know all the shared files accessed by remote user during the session. New version also presents detailed Settings that allows you to dynamically enable/disable the Session File Monitoring, Logging and Alert mechanisms as per your requirements. 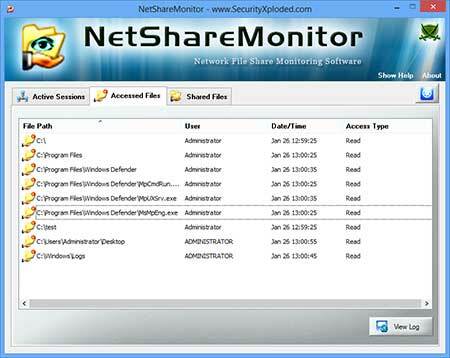 NetShareMonitor works on both 32 bit & 64 bit platforms starting from Windows XP to Windows 8. 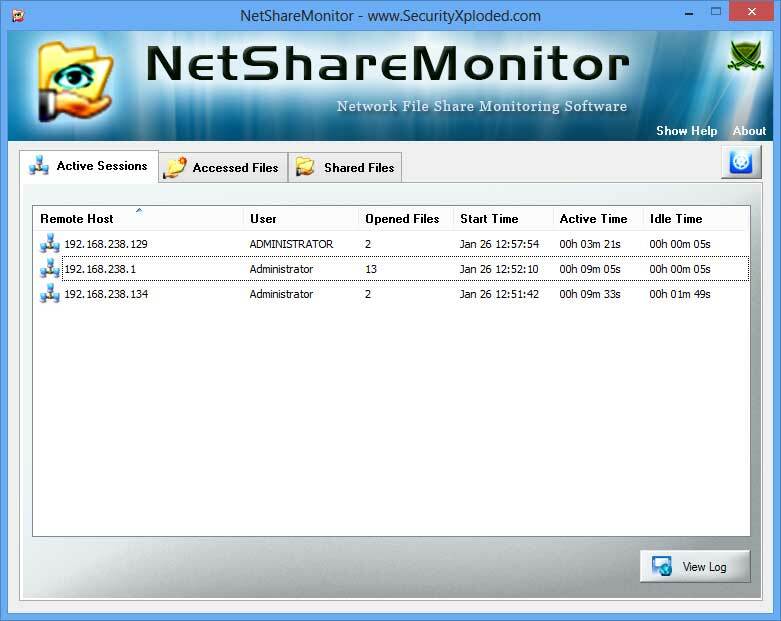 Screenshot 2: Net Share Monitor showing all the 'Accessed Files' by remote users. Screenshot 3: Settings dialog to control all options as per your tastes. 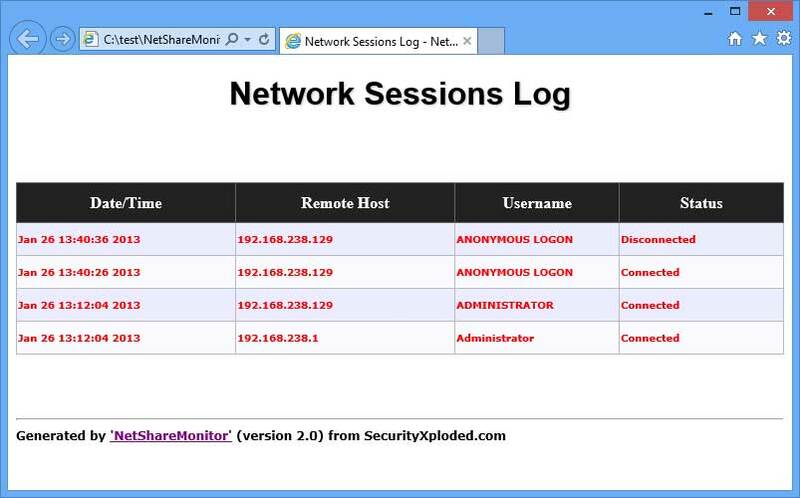 Screenshot 4: Active Sessions Log of all the current connections from remote system.